Imagine you are expecting a message from loved ones or bank alert, then you hear you phone message alert ring from the bathroom an you rushed to get the message and only to discover it's Isaiah 43:1 or 4100. Finally it over for Isa49v and 4100. As you know the MTN Advert messages it's sometimes annoying, when when you receive turns of unwanted advert like "Isaiah 43:1..." , "From Yello! Enjoy Unlimited hit songs, Get the best of CR7 Update,Even MTN persuading customer to play BABA IJEBU to wooing customer to learn how to plant a corn for ₦50 per week and also lot more of different promotional messages. It is really irritating when you get that disturbing unsolicited SMS on your phone from 32043, 33070, 5010, 4100 and especially..'Isa49v'. And lots of Folks out there has been complaining on how to put a STOP to all this annoying SMS, and how to stop mtn spam messages. Thankfully, there's now a way to stop receiving these messages and opt out of those unwanted Mobile adverts too. Which leads to unnecessary charges and deductions in your account by MTN. The unnecessary or undue charges is most time as a result of subscribing to one or more of their MTN play and caller tunes services unknowingly. The next paragraph provide a comprehensive details on mtn play and caller tunes services you had subscribed to unnoticed and unexpectedly. You might just Put on your device and a message like this will just pop up on your Phone. And you will want to remove the pop up notification message by pressing OK, Not knowing you have you have just got your self into MTN Trouble, you will only notice AFTER you Airtime had been deducted the 3rd/5th time. And Now Its time to take action against this unnecessary charges and deductions in your account by MTN. Thanks to the NCC for mandating every network provider to provide a means through which subscribers can opt out of any service provided. Following a Direction to the telecommunications service providers in the country, the operators, will from July 1, 2016, activate the MTN DO NOT DISTURB facility which gives subscribers the freedom to choose what messages to receive from the various networks. Mr. Tony Ojobo, Director of Public Affairs, Nigerian Communications Commission (NCC), in a statement, said this action was taken in order to protect subscribers from the nuisance of unsolicited texts, and therefore a direct regulatory response to the yearnings of the subscribers. With this Direction the operators have been mandated to dedicate a common Short Code (2442) which will enable subscribers take informed decisions. So for guys searching and asking for : * How to stop mtn * * mtn opt out code * * my mtn play * * how to stop mtn play fashion guide * * how to deactivate mtn play sport news * * how to unsubscribe from mtn fashion guide * * mtn play unsubscribe code * *mtn opt out code * *cancel all subscriptions on mtn* * how to stop mtn from deducting my credit * *how to deactivate mtn play sport news * * how to cancel mtn subscription * * how to unsubscribe from mtn fashion guide. This article will walk you through on to use the Do Not Disturb list to opt out of any MTN promotional service and also stop mtn from deducting your credit with DND list, the list allow you to manage the type/kind of promotional messages you receive from MTN and You can totally opt out from it all. 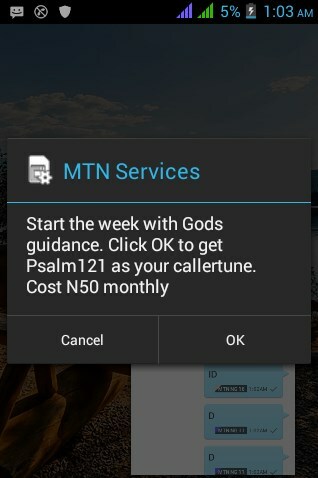 So, how exactly can we stop MTN from sending these advert/promotional messages to your phones. Are you ready? Then Lets dive-in to see how Exactly the MTN Do Not Disturb works and how to Use! The service is free to all customers. If you don't want to receive any UNWANTED messages at all. Simply text “STOP” to the short code 2442 FOR FULL DND. You will be unsubscribed immediately, and this implies that subscriber will not receive any unsolicited message from the operators at all. But in case You want to make an exception for a particular category. i.e if you want to continue receiving promotional messages related to certain category such as Banking, Insurance, Finance and Religion. You will send SMS Code for that particular category to 2442. Example Health Send SMS 4 in text message to 2442 to activate all Health tips from MTN. The same goes with the other categories. Send the SMS Codes in the table below to 2442. The following SMS keywords can be used to set your Do Not Disturb preference. SMS 5 Consumer Goods & Automobiles. SMS 7 Tourism & Leisure. To opt out of the service, you will need to text the word "ALLOW" to the short code 2442. To opt-out is free. To check status, you will need to text the key word STATUS to 2442. STEP-3: In the submenu that will open thereafter you will see three options as you can see on the above image,click on ''My subscription' it will display the current service which you are subscribed to. STEP-4: Just click on each services either E-learning,CNN news,sahara news,sport news whatever. STEP-5: You shall see final result that will display,how to unsubscribe just click on unsubscribe and you are done. » You can also dial *123*5*2# and then reply with 8 to see the list of your current active MTN play services and unsubscribe from them. If you have multiple active subscriptions, then repeat the process and select any active subscriptions to unsubscribe from. Now you can be free from those annoying SMS from your MTN. More contributions and Experience are welcome, All at the comment box Below. Thanks again for reading this fear.. Yes! I still get few disturbing unwanted unsolicited SMS from MTN even when I have fully stop all sms from them, But the fact remains that the number of unwanted sms has greatly been reduced. The truth is that whilst there are many value added services out there, there are only a handful of those that offers truly genuine contents and guarantee maximum value for money. Now here's the bit you may not actually know about these services. They are easily the most structured service on the MTN network and also they are 100% compliant with all NCC and other consumer protection body rules and regulation. These services account for less than 10% of all VAS related complaints on the MTN network, reason being that they not just only focus on providing wonderful services (which I am actually subscribed to some and enjoying it), they also care about user complaints and try to minimize it constantly. Now how do they go about satisfying customers both with the best contents and care. 1) They ensure that all their contents are gotten from the best possible sources, make some exclusive, and also ensure that they are what is in trend. 2)They provide incentives to users on a regular basis, such as free air-times, data, and physical gifts from promos carried out periodically. (And yes, I have actually benefited from such severally). 3) They review their price plans and try to come up with flexible subscription packages that will appeal to different categories of users. I have been a partaker of these sevices and will be lining out the benefits of each one of the in 5 different posts (starting with Music+ on this post). The MTN MUSIC+ service is easily the next best thing after shazam (locally, that is). It contains the largest database of music from all genres exclusively from local artists. Name any artist in the country (Yes, even the top shots) and I can assure you that they have exclusivity with MTN Music+. Now not only does this service offer you the chance to stream songs (you can even stream for 30 seconds free if you are not subscribed) you can also instantly download (high quality versions) the song to your device. Even more interesting is the fact that the mobile app has been optimized to integrate with your phone and serve as a very high quality music player for songs stored on your device. Users can stream offline, purchase, download, and share their favorite music and send the music as gifts to their friends and loved ones. When users subscribe to any of the Music Plans, they can get FREE data bundle and stream unlimited music, they also can enjoy the Pricing discounts available for HD Full Track purchase. Users can stream, offline, purchase, download, and share their favorite music and send the music as gifts to their friends and loved ones. - When users subscribe to any of the Music Plans, they can get FREE data bundle and stream unlimited music, they also can enjoy the Pricing discounts available for HD Full Track purchase. Basically, you get to kill many birds with one stone just be subscribing to any of the package plans. That is not to mention that you also get to hear hit songs from some Top artists first on the Music+ platform even before it hits the popular music websites you know. This service is a great great great service and one that will appeal to nearly everyone, no matter your age or taste of music. So long as its Naija I can assure you that the Music+ service will satisfy you. Yes you can ask me any question regarding any of the services and I will be happy to assist you. MTN CallerFeel is a new service from MTN Nigeria that allows you insert short messages (maximally input 135 English Character or 82 full-width character) that will pop-up on your callers phone screen when they call your line. It can be likened to the way we update status messages on BBM, Facebook and Twitter. It can be used by all MTN new and existing prepaid and postpaid customers as well as successfully ported in customers from other Networks can use this service. AdvertisingSharing Status UpdatesPersonal AdvertisingStatus messagingMood descriptionSpecial messages to specific callers and host of other ways.Self-ExpressionSharing special momentsSharing Special messages to specific callers and host of other ways. To Successfully set-up your MTN Caller Feel, text ‘REG’ to 50016. (Please note that Registration costs N50/month). If registration is successful, you will receive an SMS notification on the status of your subscription. The SMS notification will confirm if your subscription was successful. How do I personalize my CallerFeel message? To Deactivate Caller Feel, text “STOP” or “CANCEL” to 50016. On your MTN line, simply dial this code [url=http://www.techzuma.com/2017/10/how-to-stop-mtn-from-deducting-your.html]*131*201#[/url]. You will receive a message saying You hace successfully activated data suspension... Congrats. The problem is solved now. 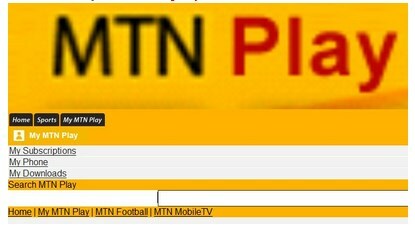 Dial this code [url=http://www.techzuma.com/2017/09/permanently-stop-all-mtn-annoying-sms.html]*131*200#[/url]. The settings will be reset and you'll be able to browse with your credit. Recently, in the Philippines, SMS Messaging played a major role in bringing down an unpopular political regime. Now that's a lot of SMS messages.